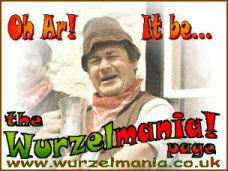 Wurzelmania: The Adge Cutler & The Wurzels Encyclopaedia. Made In Somerset! Reg was the accordion player on the first two albums. Prior to being recruited into the Wurzels, he was a pub landlord in Bristol. According to Adge was the 1966 Nobel prize winner for 'Edgin' 'n' Ditchin', and previously pulled a plough for years. Don't know much about him apart from that - anyone out there know more? According to Tommy Banner when interviewed in 2007 for BBC Radio Somerset, "Former manager John Miles said Tommy joined the band after it was decided they needed a professional accordian player after their first one did not want to go on stage until the cider was delivered." - that would have been old Reg!